Take your family on holiday to San Martino di Castrozza, enjoy a break to discover the beauty of Trentino's Dolomites, and treat your children to an unforgettable experience as well. Summer or winter, a holiday in San Martino di Castrozza is a cure-all for anyone, from adults to little ones, who can breathe in the clean air and enjoy the unspoilt nature on their fun stay. And if you have a four-legged friend, it is even easier to spend your holiday with him/her, as we love animals and will be pleased to welcome them at our hotel. A hotel with mini club in Trentino - that is right what you need! What makes us different from the other family hotels in San Martino di Castrozza? First of all, our passion for good company and the pleasure to be all together, as a holiday in the Dolomites must be enjoyed and shared. We really care about your children, so we are proud to boast one of Trentino's most equipped hotels with mini club. Tip the squirrel's Den (La Tana di Tip) is the right fun place for little ones, with toys, entertainment, company, and the opportunity of learning new things, constantly supervised by our staff. Buggies, high chairs, cots, bed barriers, and much more for little ones. In addition, you can join the Family Fun programme for a choice of activities immersed in nature, plus sports and adventurous options in the Dolomites. Ask our staff for information, and fall in love with Trentino's mountains! Not yet decided where to spend your holiday with the kids in Trentino? You might find it interesting to know that Hotel Orsingher proposes family rooms (comfortable communicating rooms), family package deals, special offers for your children (according to period, you only pay for their meals), and the atmosphere of a truly cosy ad relaxing setting. Relaxation wise, our wellness centre is children-friendly, as it has a dedicated mini swimming pool! Ready to go on holiday? 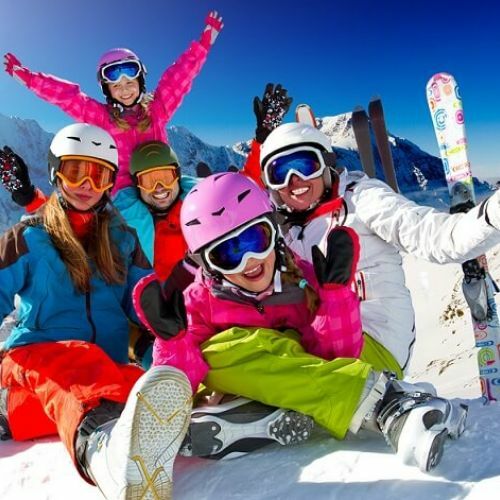 Take your family to San Martino di Castrozza!